[S1] Registry of Births Deaths and Marriages Pioneer Index Victoria 1836-1888 "#B4835." [S50] Miscellaneous Source, Findmypast - Australia, Births and Baptisms, 1792-1981 Transcription. [S25] School Records - Beaconsfield North 2560: father Thomas Deeley, farmer - no previous schooling. [S3] Registry of Births Deaths and Marriages Edwardian Index Victoria 1902-1913 "#M702." [S185] Property Titles. ; PROV (Public Records Office Victoria), C/T 2845-844 - Thomas William Deeley died on 8 July 1923. Probate has been granted to George Henry Deeley of Elliott Avenue Murrumbeena Salesman and Thomas William Charles Deeley of 24 Bowen Street Glenferrie Senior Constable of Police. [S35] Probate Records, PROV (Public Records Office Victoria), VPRS 28/P4, unit 1946; VPRS 7591/P3, unit 290. [S218] Newspaper - The Dandenong Journal (1927-1954) "26 May 1932, p2." [S218] Newspaper - The Dandenong Journal (1927-1954) "23 Jun 1932, p2." Death-Notice* 28 Aug 1903 DEELEY. —On the 26th August, 1903, at 5 Percy street, Prahran, May Edith Nellie Deeley, aged 20 years and 2 months the beloved daughter of Thos, and Isabella Deeley, and sister of Thos. and Geo. Deeley. DEELEY.-The Friends of Mr. and Mrs. THOMAS DEELEY are respectfully invited to follow the remains of their late beloved daughter to the place of interment, in the St. Kilda Cemetery. The funeral cortege is appointed to leave their residence, 5 Percy-street, Prahran, THIS DAY (Friday, 28th inst. ), at 2.30 o'clock. [S1] Registry of Births Deaths and Marriages Pioneer Index Victoria 1836-1888 "#B18736." [S25] School Records - Beaconsfield North 2560: father Thomas Deeley, farmer. [S11] Newspaper - Argus 28 Aug 1903 p1. 27 Jun 1904, BREACH OF "PROMISE CASE. [S1] Registry of Births Deaths and Marriages Pioneer Index Victoria 1836-1888 "#B3047." [S3] Registry of Births Deaths and Marriages Edwardian Index Victoria 1902-1913 "#M3218 & R."
[S14] Newspaper - The Advertiser (Adelaide) 27 Jun 1904 p6. [S218] Newspaper - The Dandenong Journal (1927-1954) "16 Feb 1944, p1." Death-Notice* 7 Jul 1924 McLEAN. On the 5th July, at Ardgour, Beaconsfield Upper, William McLean, formerly Government statist, aged 80 years. VPRS 28/P0000 unit 120, item 10/681. [S1] Registry of Births Deaths and Marriages Pioneer Index Victoria 1836-1888 "#M3343/1874 Birthplace mentioned." [S1] Registry of Births Deaths and Marriages Pioneer Index Victoria 1836-1888 "Agnes married as Agnes McDowall." [S185] Property Titles. ; PROV (Public Records Office Victoria), C/T 1168-469 - William McLean, John William Knapton and Caleb Wheeler to The Minister of Public Instruction - C/T 4000-960 The Minister of the Crown for the time being administering the Education Act 1915. [S5] Registry of Births Deaths and Marriages Death Index Victoria 1921-1985 "#D8388 age 80 [par Patrick McLEAN & Janet MacINTOSH] [reg. Berwick]." [S11] Newspaper - Argus 7 Jul 1924 p1. [S35] Probate Records, PROV (Public Records Office Victoria), 196/286. Gentleman. McLean William 1924 79 bw2313. [S188] Newspaper - Berwick County Times / The Times "11 Jul 1924, p1." Death-Notice* 8 Jan 1895 McLEAN -On the 7th inst. at Ballarat, Agnes Barr, the beloved wife of William M'Lean accountant, Education department, and of Ardgour, Church street Middle Brighton. [S22] Victorian Government. BDM Index Victoria (online) "born Wigton." [S65] Ancestry - various indices, Ancestry.com. Scotland, Select Marriages, 1561-1910 [database on-line]. Provo, UT, USA: Ancestry.com Operations, Inc., 2014. [S11] Newspaper - Argus 8 Jan 1895 p1. [S83] Online index to the UK census "Parish: Kirkmaiden; ED: 2; Page: 3; Line: 12; Roll: CSSCT1871_189." 9 Jul 1924, DR. McLEAN'S BEREAVEMENT At the meeting of the Hospitals Board yesterday the chairman announced that Dr. J. B. McLean, general medical superintendent, had left for Melbourne owing to the illness of his father, and that word since had been received by the board that Dr. McLean's father had died. A sensation was caused in the City on Thursday when, it was announced that Dr. J. B. McLean, General Medical Superintendent of the Brisbane and South Coast Hospitals Board, had resigned his elevated post. No reasons were given for the sudden step. Why the resignation? RECENT disclosures of happenings within the Brisbane General Hospital have caused unrest and a considerable feeling of uncertainty, and though Dr. McLean has not been personally impugned, his administration has certainly been the subject of criticism. It has been shown that on more than one occasion untoward happenings have either been not reported to the Hospitals Board or only meagre details furnished. If, as has been suggested, Medical Super intendent McLean has endeavored to assist his professional brethren by a strict observance of the ethics of the profession it may have led to a clash of opinions, and Dr. McLean has taken this step as a protest against interference. Recently, it is staled, certain comment was made respecting his administration by mem bers of the Medical Advisory Board. It has been only too evident ; that certain of the honorary staff at the General Hospital have been dissatisfied with the control exer cised. The Hospitals Board, though it has not asked for on ex planation from the Superintendent has had reason to find fault with methods in vogue, particularly those relating to the reportings of deaths under unusual circum stances. "Truth" has on more than one occa sion criticised the methods of Medical Superintendent Mc Lean, and drawn at tention to the neces sity of the placing of the public interest before medical ethics, In a recent issue, in which there was made a disclosure of two deaths in the hospital following injections of vaccine, "Truth stated:— "A medical superintendent who takes up the attitude that he need report to the board only such happenings as he he chooses, who declines to make any statements to the press—which represents the people— and who chooses to clothe in secrecy vital information which the public is en-titled to know about its own hospital is not serving the community as he should . . . ."
Whatever view of his duty Dr. McLean took, and whatever may have been the reasons upon which he felt impelled to so act, this newspaper is unable to divine, but he has now seen fit to tender his resignation For what reason? The safety of the position per annum is in the four figures class, it is an honored and coveted office, it carries with it a large measure of authority, and the Board has shown an inclination to further increase the responsibilities — and the salary. It is not so long since the annual re muneration was lifted to £2000 p.a. Some technicality compelled a reduction to the amount formerly paid. Why has the Superintendent vacated such a position? Is it because he found growing discon tent with his administration not only among his fellow members of the profession but among a section of the public, and the press and possibly within the rooms of the Hospitals Board or for en tirely personal reasons? The Board desired that its General Medical Superintendent should be the supreme medical authority in the hospitals and would — if it could, under its by-laws — have invested him with the highest possible power. A RoyaI Commission recommended greater power for the General Superintendent, it proposed his being relieved of all respon sibilities other than administrative ... and now on the eve of attainment to a pinnacle the Superintendent resigns. Why? The Chairmen of the Board (Mr. G. Rees) doesn't know. He told "Truth" so on Thursday, and, so far as can be gathered, no one knows. There still remains the fact that there have been only footling and futile inquiries into the deaths of a man on an operating table in which a wrongly adjusted ether machine tube figured, the deaths of two men due to vaccine injection, and other happenings for which Dr. J. B. McLean, as General Medical Superintendent of the Brisbane and South Coast Hospitals Board, though not personally involved, is certainly the person looked to for fuller explanations. The Government has failed in its duty to the public in these matters, and inasmuch as it has not issued any statement or taken any action; but that is no reason why Dr. Mc Lean should not have pursued them and ascertained if any of his staff were guilty of negligence, and taken appropriate action. The community engaged the Superin tendent to the community he has now tendered his resignation. Dr. Jonn Barr McLean, who for many years was superintendent of Brisbane General Hospital, died yesterday. [S1] Registry of Births Deaths and Marriages Pioneer Index Victoria 1836-1888 "#B9874." [S14] Newspaper - The Australasian (Melbourne, Vic. : 1864 - 1946), Sat 8 May 1875, p25. [S14] Newspaper - The Brisbane Courier (Qld. : 1864 - 1933), Fri 13 Jan 1905, p4. VPRS 28/ P3 unit 1205, item 181/660. [S11] Newspaper - Argus 9 Sep 1943 p2. [S14] Newspaper - The Register (Adelaide), 3 Jun 1916, p10. [S11] Newspaper - Argus The Capricornian (Rockhampton), 4 Mar 1922, p34. [S14] Newspaper - The Telegraph (Brisbane, Qld. : 1872 - 1947), Wed 9 Jul 1924, p4. [S14] Newspaper - Truth (Brisbane, Qld. : 1900 - 1954), Sunday 22 Feb 1931, p13. [S14] Newspaper - The Courier-Mail (Brisbane), 9 Sep 1943, p3. 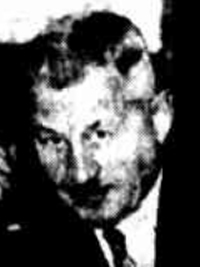 [S14] Newspaper - The Courier-Mail (Brisbane), 15 Sep 1943, p4. [S14] Newspaper - The Courier-Mail (Brisbane), 22 Sep 1944, p4. 11 Jan 1936, A CONFERENCE of the Upper Goulburn Group of the Country Women's Association was held at Merton. Branch reports showed that branches had. spent a busy and helpful year. [S11] Newspaper - Argus The Argus (Melbourne, Vic. : 1848 - 1957), Thu 18 May 1876, p1. [S185] Property Titles. ; PROV (Public Records Office Victoria), C/T 2123-482 + C/T 2946-181 + C/T 1946-122 + C/T 1956-053 - Jessie Mabel McLean and Agnes McLean both of Church Street Middle Brighton Spinsters are proprietors as tenants in common - C/T 3096-030. [S5] Registry of Births Deaths and Marriages Death Index Victoria 1921-1985 "#D1280 age 70 -- as McLEAN." [S11] Newspaper - Argus 21 Jan 1947 p2. [S14] Newspaper - Weekly Times (Melbourne), 11 Jan 1936, p20. [S1] Registry of Births Deaths and Marriages Pioneer Index Victoria 1836-1888 "#B9910." [S14] Newspaper - The Australasian (Melbourne, Vic. : 1864 - 1946), Sat 27 Apr 1878, p28. [S5] Registry of Births Deaths and Marriages Death Index Victoria 1921-1985 "#D5270 age 68 -- as McLEAN." [S11] Newspaper - Argus 1 Jun 1946 p23. [S196] Newspaper - Dandenong Advertiser and Cranbourne, Berwick and Oakleigh Advocate (Vic. : 1914 - 1918) "06 Jul 1916, p2 - could be referring to her sister." Death-Notice* 2 Apr 1900 LARKIN.—On the 1st April, at Melbourne Hospital, John, eldest son of Thomas Larkin, and beloved husband of Amelia Larkin, aged 30 years. [S2] Registry of Births Deaths and Marriages Federation Index Victoria 1889-1901 "#M1892." [S16] Newspaper - The Age 2 Apr 1900, p1+10. [S35] Probate Records, PROV (Public Records Office Victoria), 89/578. Farmer. Upper Beaconsfield. [S1] Registry of Births Deaths and Marriages Pioneer Index Victoria 1836-1888 "reg Raglan." [S185] Property Titles. ; PROV (Public Records Office Victoria), C/T 3279-616 - Amelia Larkin of Upper Beaconsfield Widow. [S185] Property Titles. ; PROV (Public Records Office Victoria), C/T 3279-616 - William Thomas Troughton of 127 Manning Road East Malvern Glass Blower. [S11] Newspaper - Argus 5 Jun 1950 p10. [S103] Electoral Roll for Australia, 1903 "listed as Minnie LARKINS - likely to be the same person, as Amelia's husband John LARKIN died at UB in 1903." [S2] Registry of Births Deaths and Marriages Federation Index Victoria 1889-1901 "#B24147." [S5] Registry of Births Deaths and Marriages Death Index Victoria 1921-1985 "#D28166 age 92 -- as BARNETT." On 23 Apr 1912, when he was 17 years old and working as a carpenter, William John Larkin enlisted with the Navy for a period of 7 years. In 1914 took part in the landing for the capture and occupation of German New Guinea. He was awarded Chevrons. [S33] Australian Government: http://www.naa.gov.au/collection/search/index.aspx, Record of Service. Petty Officers and Men. [S2] Registry of Births Deaths and Marriages Federation Index Victoria 1889-1901 "#B13840." [S35] Probate Records, PROV (Public Records Office Victoria), VPRS 28/P6, unit 405; VPRS 7591/P4, unit 357. [S65] Ancestry - various indices, Australia, Birth Index, 1788-1922 gives birthplace & birthdate, reg district Willunga. [S2] Registry of Births Deaths and Marriages Federation Index Victoria 1889-1901 "#M311." [S185] Property Titles. ; PROV (Public Records Office Victoria), C/T 1452-338 - Richard Simmons of Nar Nar Goon Farmer. [S185] Property Titles. ; PROV (Public Records Office Victoria), C/T 1452-338 - Mortgage No 226031 to Jessie Lavington Evans. Discharged 18 Nov 1907. [S185] Property Titles. ; PROV (Public Records Office Victoria), C/T 1452-338 - Mortgage No 257683 to Jessie Lavington Evans. Discharged 11 Mar 1911. [S185] Property Titles. ; PROV (Public Records Office Victoria), C/T 1452-338 - John Crook of Beaconsfield Upper Orchardist - C/T 3484-651. [S3] Registry of Births Deaths and Marriages Edwardian Index Victoria 1902-1913 "#D8236 age 47 [par Arthur THORNTON & Mary HOSKINS]." [S185] Property Titles. ; PROV (Public Records Office Victoria), C/T 1826-107 - Richard Simmons of Upper Beaconsfield Orchardist - C/T 3936-023. [S185] Property Titles. ; PROV (Public Records Office Victoria), C/T 3936-023 - Richard Simmons to Edward Allott Hardy - it appears that this mortgage was transferred to Harold Osborn. [S185] Property Titles. ; PROV (Public Records Office Victoria), C/T 3936-023 - Harold James Matherson Osborn of Upper Beaconsfield Orchardist. [S5] Registry of Births Deaths and Marriages Death Index Victoria 1921-1985 "#D21365 age 89 [par Thomas SIMMONS & Unknown MORRISH]." 4-345-B Simmons Richard M 85 18/08/1955 1357. [S11] Newspaper - Argus 30 Jun 1898 p5. [S16] Newspaper - The Age 30 Aug 1913, p5. [S35] Probate Records, PROV (Public Records Office Victoria), 131/570. Married. (As SIMMONDS). Death-Notice* 4 Jun 1943 NATHAN.-On June 2, John, beloved husband of Jean, and loved father of Douglas and Graham, of Yuille street, Frankston, late of Upper Beaconsfield. 5 May 1927, WALKING AND TALKING DOLL - Gift to Baby Princess. Appearing for the Railways Department to oppose applications for licences for motor goods vehicles operating from Beaconsfield Upper, Bunyip, and Cora Lynn, in Gippsland, Mr. Burt Kelly intimated to the Transport Regulation Board yesterday that in view of competition by motor transport the department might be forced to close many stations. The chairman of the board (Mr. P. D. Phillips), who, with Mr. W. H. Kendall and Mr. J. Jeffrey, heard the cases, said that before giving its decisions the board might visit the districts in question. Mr. Hector Pringle, of Beaconsfield Upper, applied for a licence for one vehicle for the carriage of orchard materials and other goods from Beaconsfield Upper to Melbourne and from Melbourne to Beaconsfield Upper and district. He said that he carried to Melbourne once a week. His rate was £1 a ton. Last year he carried 15,000 cases of fruit to cool stores and to the railhead. To Mr. Kelly.-The primary producer wants us to run to Melbourne. Mr. Kelly.-You carry more fruit to the station than to Melbourne? Mr. John Nathan, storekeeper, of Beaconsfield Upper, supporting Mr. Pringle's application, said that by motor transport the goods could be brought in one handling from warehouse to store. Railway transport involved four handlings. To Mr. Kelly.-We got our groceries in cardboard containers. The Chairman.-Why could they not come in cardboard containers by the railway? Mr. Nathan.-I could not say without hurting Mr. Kelly's feelings; but they might be pilfered. When they came by rail was there any pilfering?-Very little; they were cased up. Mr. Kelly quoted figures to show that the railway rates were substantially lower than those of the road operator. He suggested that the district could be served by the railways in conjunction with local carriers. The Chairman.-With regard to these close-in goods hauls, there might be something said for leaving them for a while and accumulating more evidence. It is a question whether the radius fixed by the Legislature (25 miles) should be an unvarying one, or might be extended to 35 miles. There might be something said for leaving these temporary licences for a time until we know more about the economics of short hauls. Mr. Claude Alfred Harris, of Upper Beaconsfield, applied for a licence to operate from Beaconsfield Upper to the city and return, He said that he operated four days a week, and sometimes five, from Upper Beaconsfield, and sometimes he served Berwick en route. He took primary produce to Melbourne, and he carried back "every conceivable thing that was made." He carried liquor to three hotels. [S80] Ancestry - Family Tree, date from an ancestry family tree. [S4] Registry of Births Deaths and Marriages Great War Index Victoria 1914-1920 "#M12286." [S185] Property Titles. ; PROV (Public Records Office Victoria), C/T 4432-358 - John Nathan of Upper Beaconsfield Storekeeper - C/T 5467-311. [S185] Property Titles. ; PROV (Public Records Office Victoria), C/T 5467-311 - Lillian Elizabeth Paxton of Upper Beaconsfield Married Woman - C/T 5668-473. [S185] Property Titles. ; PROV (Public Records Office Victoria), C/T 5467-311 - Lillian Elizabeth Paxton of Upper Beaconsfield Married Woman - C/T 5694-799. [S185] Property Titles. ; PROV (Public Records Office Victoria), C/T 5467-311 - James Shillingford Loveridge of Berwick Storekeeper - C/T 6322-294. [S185] Property Titles. ; PROV (Public Records Office Victoria), C/T 5467-311 - Alice Mary Edwards of Claremont Upper Beaconsfield Married Woman - C/T 6344-732. [S5] Registry of Births Deaths and Marriages Death Index Victoria 1921-1985 "#D17628 age 57 [par David NATHAN & Ann HART]." [S11] Newspaper - Argus 4 Jun 1943 p2 + p10. [S185] Property Titles. ; PROV (Public Records Office Victoria), C/T 5467-311 - John Nathan died on 2nd June 1943. Probate of his will has been granted to Jean Nathan of 2 George street Glenferrie Widow and Frederick Pringle of 19 Johnson Street Glenferrie Licensed Plumber. [S185] Property Titles. ; PROV (Public Records Office Victoria), C/T 5467-311 - Albert Reginald Bickham of Upper Beaconsfield Motor Driver- C/T 7228-591. 5-036-B Pringle Robert M 77 30/12/1937 985. [S11] Newspaper - Argus 9 Jul 1925, p16. [S11] Newspaper - Argus 5 May 1927, p19. [S11] Newspaper - Argus 6 Jun 1927, p12. [S11] Newspaper - Argus 11 May 1928, p10. [S11] Newspaper - Argus 4 Oct 1928, p16. [S218] Newspaper - The Dandenong Journal (1927-1954) "23 Feb 1933, p4." [S218] Newspaper - The Dandenong Journal (1927-1954) "23 Mar 1933, p4." [S11] Newspaper - Argus The Argus (Melbourne, Vic. : 1848 - 1957), Mon 24 Jul 1933, p4. [S11] Newspaper - Argus 27 Mar 1935 p9. [S11] Newspaper - Argus 23 Nov 1935, p32. [S11] Newspaper - Argus 30 May 1936, p30. VPRS 28/ P10 unit 238, item 878/229. [S2] Registry of Births Deaths and Marriages Federation Index Victoria 1889-1901 "#B13551 - as Jane." [S185] Property Titles. ; PROV (Public Records Office Victoria), C/T 6544-788 - discharged 5 Apr 1943. [S5] Registry of Births Deaths and Marriages Death Index Victoria 1921-1985 "#D16704 age 87 [par Robert PRINGLE & Frances]." [S5] Registry of Births Deaths and Marriages Death Index Victoria 1921-1985 "#D17774 age 77 [par Adam PRINGLE & Margaret COWAN] (reg. Berwick)." [S2] Registry of Births Deaths and Marriages Federation Index Victoria 1889-1901 "#M6356." [S5] Registry of Births Deaths and Marriages Death Index Victoria 1921-1985 "(reg. Berwick)." [S11] Newspaper - Argus 30 Dec 1937, p10. [S185] Property Titles. ; PROV (Public Records Office Victoria), C/T 4236-152 - Frances Pringle of 2 George Street Hawthorn Married Woman. [S185] Property Titles. ; PROV (Public Records Office Victoria), C/T 4236-152 (C/T 4496-139) - Ellen Anthony of Finch Street Malvern Widow - C/T 4914-684. [S66] Berwick Shire Rates, 1870-1965 Note in rate book 1942-43. Pt CA 1 Sec D Gembrook House N25. [S185] Property Titles. ; PROV (Public Records Office Victoria), C/T 4236-152 (C/T 4496-139) - Edith Annie Jackson and Mary Elizabeth Jackson both of Salisbury Road Upper Beaconsfield Spinsters - C/T 6544-788. [S22] Victorian Government. BDM Index Victoria (online) "Place of birth HAWTHORN." [S11] Newspaper - Argus 3 Feb 1928, p4.